Clear to partly cloudy. Low 56F. Winds NNW at 5 to 10 mph..
Clear to partly cloudy. Low 56F. Winds NNW at 5 to 10 mph. 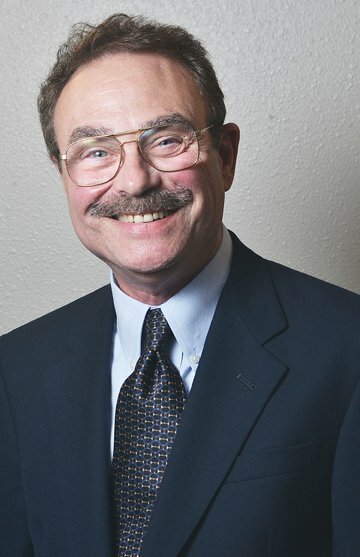 Bakersfield attorney Dennis Beaver writes the "You and the Law" column for The Sentinel. You and the Law: Looking for winter windshield washer fluid? Good luck! “Why can’t I find winter windshield washer solution? It often gets below freezing during the winter months here in the Central Valley. Our vehicles are parked outside, and around November or December we replace summer with the winter solution, which does not freeze. “But every auto supply store in our area only had the summer product, and even in January no one sold winter solution. A store manager told me the California Air Resources Board has made it illegal to sell winter, non-freezing windshield washer solution except in few, very high mountain areas where it gets really cold. In the category, “Poorly Thought-out Regulations Revealing a Monumental Lack of Common Sense and Failure to Understand the Law of Unintended Consequences,” our award goes to the California Air Resources Board. Clearly, while it is a controversial state agency, even its most vocal critics would have to agree that the ARB has made the air and water safer for all Californians. But from what we have learned in researching our reader’s question, we must ask if working at ARB now requires undergoing brain surgery which removes common sense. The reason for our sarcasm will become obvious. Today, in most of California, no one can find either pre-mixed or concentrated solutions such as Ultra Clean All Season Windshield Wash Concentrate from Scottsdale, Arizona- based Unelko Corp. It was sold everywhere in the state last year, but is not found anywhere now. Even though it is an excellent product, carried by auto supply stores here for years, Unelko informed us that it is simply not being ordered by retailers. To find out why, we spoke with the Air Resource Board’s chief of consumer products and new strategies, Carla Takemoto. “It is an air pollution issue. In early 2011 a regulation went into effect which made the sale of ready-to-use winter solution illegal, except in areas of the state where freezing temperatures are quite common in wintertime,” she explained. “Many of these products contain high levels of VOCs (Volatile Organic Compounds, typically methanol) which contribute to the formation of ground level ozone and air pollution. The general public should not buy products which contribute to ozone. The ready-to-use winter products typically contain 25 percent VOCs, while those for the warm areas of the state can have no more than 1 percent. Consumers there gain nothing by having high, winter formula concentrations,” Takemoto stated. Hallelujah! P-rrraise, I say, praise the Lord! I can’t buy pre-mixed winter solution where I live because it pollutes, but I can use a concentrate which, when mixed, will be just as polluting — with the same high VOC levels — if I mix it that way. The ARB only now just began advising auto supply distributors that they can legally sell concentrated solution. So drivers in much of the state are only finding pre-mixed “summer” formulas and not the legally available concentrates. So much for ARB’s care and concern for the welfare of California drivers. “Auto supply stores are terrified of a possible daily $50,000 fine for even accidentally violating ARB regulations. That’s why we don’t even carry the concentrates,” we were confidentially told by one national auto supply marketing manager. Next time: ARB reacted to our interview with some interesting additions to their website. They absolutely refused to tell us how drivers can make their own winter solutions. But you can legally, and we will tell you how. Beaver practices law in Bakersfield and welcomes comments and questions from readers, which may be faxed to him at (661) 323-7993 or emailed to him at lagombeaver@hotmail. You and the Law: Can you learn to speak a new language in 10 days? Sure, when pigs fly.